Sloterdijk I has been earmarked for transformation. An industrial estate with office and industrial property that has reached the end of its development cycle, the estate will in the coming years be gradually revamped into a mixed urban district with a mix of business, residential and public facilities – an integrated piece of the city where people can work, live and recreate. 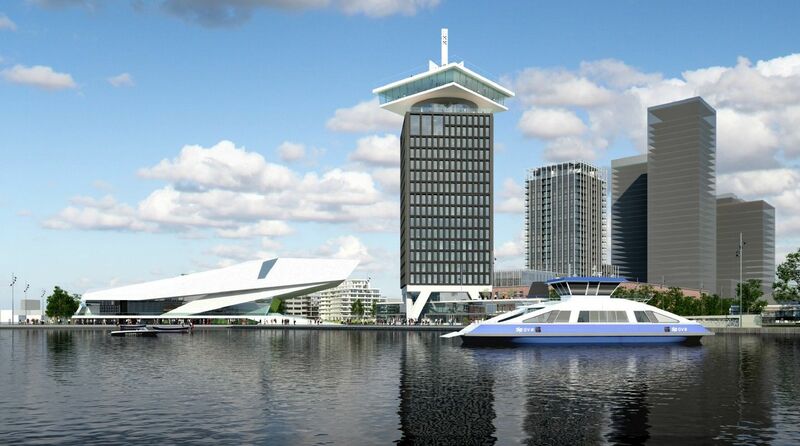 Thanks to the Haven Stad programme, the city of Amsterdam can until 2040 pursue residential expansion in three areas: the Sloterdijk area, the Port area and the Northern banks of the river IJ. Koers 2025, in which the municipality has charted potential housing locations, designates a number of areas for accelerated development, with a view to accommodating the strong growth in population, business activity and tourism. Sloterdijk I is one of those areas. 1. Develop Sloterdijk I into an urban working / residential area. 2. Improve connections with the direct surroundings and city. 3. Create an attractive, high-quality living environment. Register as an investor to save assets and create selections. The transformation starts in the southern part of Sloterdijk I, where the Municipality of Amsterdam is ready to facilitate housebuilding. 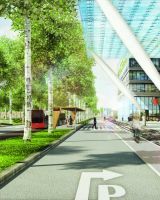 Local owners and market parties will in part determine the speed and content of the transformation of Sloterdijk I Zuid. Expectations are that 4,000 to 4,500 homes and accompanying facilities can be realised in Sloterdijk I Zuid during the 2018/2028 period. This translates into around 240,000 m² GFA residential plus 87,000 m² GFA industrial space and 42,000 m² GFA office space. A covenant with companies in the Port area allows for the development of residential property in Sloterdijk I Noord from 2029. Until then, transformation efforts will exclude housing functions, while the municipality will ensure that no restrictions arise to residential building in Sloterdijk I Zuid. Sloterdijk I is strategically located between the urban centre of Amsterdam on the east and south-east side, and the large-scale port and industrial area of Westpoort on the west and north-west side. The area measures around 56 hectares, of which 31.6 ha has been issued in plots and around 19.5 ha has been developed. The remaining 22 ha is public space. The city centre of Amsterdam is nearby: cycling time to the Dam is around twenty minutes. Sloterdijk I offers excellent accessibility by public transport (metro, train and bus). Located within walking distance are ‘Sloterdijk Centrum’ InterCity railway station and ‘Isolatorweg’ metro station. Most of the land has been issued under ground lease by the Municipality of Amsterdam. Ten plots, spread over the area, are private property. The Municipality of Amsterdam does not have any free plots at its disposal in Sloterdijk I. The municipality wishes to design and develop the area plan together with the owners of the plots, whereby owners are free to redevelop their plots in cooperation with market parties. This is the vibrant heart of the city, with a thousand monuments on the World Heritage List. Cosmopolitan Amsterdam offers this unique mix of international vibe and laidback cosiness. The compact city: easy to reach, famous for its open atmosphere and genuine hospitality. The home of Rembrandt, van Gogh and Anne Frank now houses two international universities, scores of professional schools, and airport and a seaport. Schiphol Trade Park offers a combination of accessibility, sustainability, and innovation. It is divided into six distinctive areas: the Logistics Zone, Green Datacenter Campus, Trade Boulevard, A4 Skyline, The Valley, and another campus. 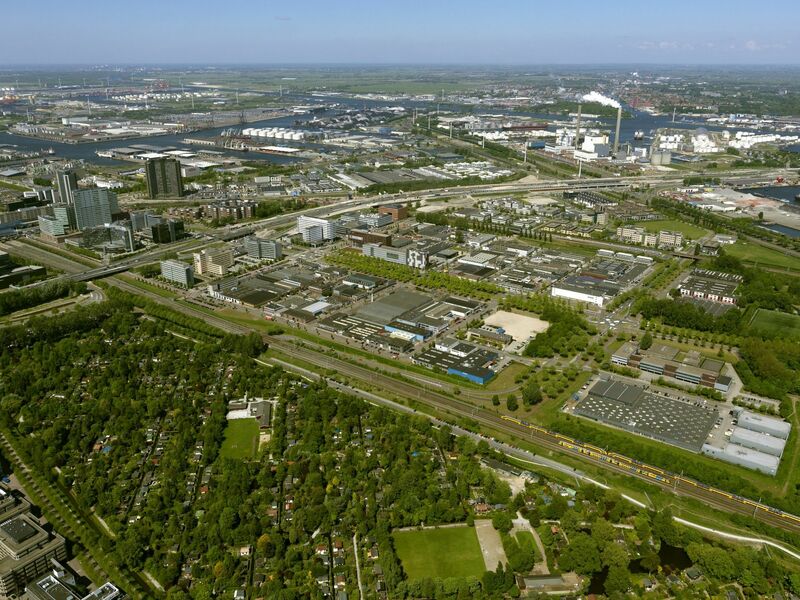 Schiphol Trade Park is the most sustainable business park in Europe, in the Amsterdam Metropolitan Area. International investors are finding interesting projects in every part of this region: from smallscale developments to grand new projects.